There comes a time in the life of every air conditioner system when it is simply beyond repair. When that time comes at your home or place of business, you can count on Quality Air Conditioning Company for first-rate air conditioner replacement. As an office manager or business owner in Tamarac, Parkland, or Margate, you’re responsible for keeping your workplace cool and comfortable throughout the year—even in the worst heat of a Southeast Florida summer. When the temperatures reach triple digits and your venerable commercial air conditioner is ready to give up the ghost, it’s time to call the experts at Quality Air Conditioning Company for air conditioner replacement. Based in Fort Lauderdale, in the heart of Florida’s Gold Coast, Quality Air Conditioning Company has been serving our neighbors in Boca Raton, Coral Springs, Delray Beach, and surrounding areas for about five decades. We’re extremely familiar with the features and benefits of the many AC replacement units available, and we know from years of experience how they will perform in this part of Florida. Whether you need air conditioner replacement for a group of apartment buildings in Cooper City, a shopping mall in Boca Raton, or an industrial park in Deerfield Beach, Quality Air Conditioning Company has the products and service you need. 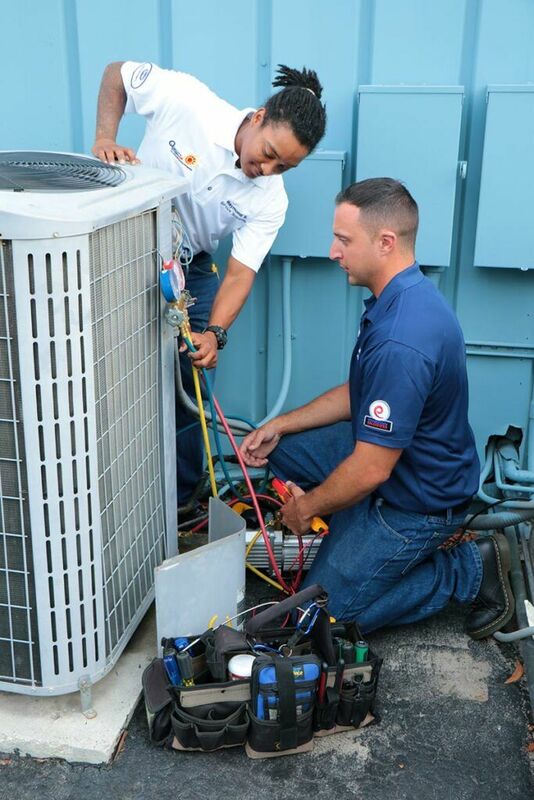 Just like business owners throughout Southeast Florida, homeowners in Broward County and Palm Beach County rely on the dedicated team at Quality Air Conditioning Company for AC maintenance, repair, and replacement. The air conditioner at your home might be losing performance efficiency, causing your energy bills to increase markedly over time. Your air conditioner may be entering its teen years and getting more likely to break down. It’s possible your air conditioner has already failed—and, like an old, broken-down jalopy, the cost of repairing your air conditioner actually exceeds the cost of replacement. Whatever the reason, once you realize that you need air conditioner replacement in your home, you’ll want to turn to the professionals at Quality Air Conditioning Company. We’ll help you select the most appropriate AC replacement unit, based upon your budget, the size of your house, your need for features such as zoned cooling, and the energy efficiency and energy-saving features each air conditioner offers. Once we’ve reviewed the features you want and determined which air conditioner replacement unit will best suit your needs, Quality Air Conditioning Company staff will discuss financing, maintenance plans, and the most convenient timeframe for your AC replacement installation. If you have questions at any point in the air conditioning replacement process, don’t hesitate to call us. For a free on-site assessment and estimate for your AC replacement, call Quality Air Conditioning Company today at 954-971-1000, 954-830-7828, or 800-649-5415. Our courteous office staff is standing by to set up your appointment.